The role of the Infrastructure Renewal Committee (IRC) is to develop relationships with other national bodies and to provide leadership to the CSCE through project activities in the broad field of infrastructure renewal. 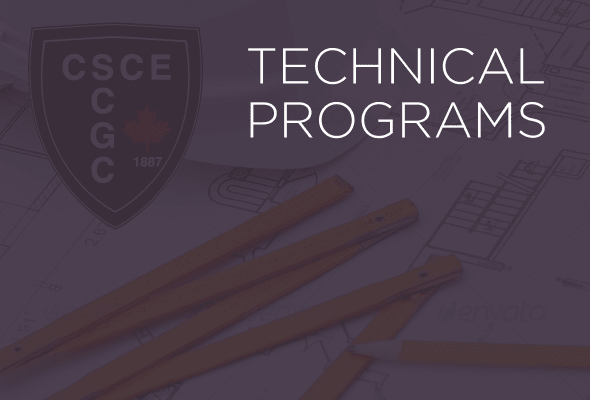 These activities continue to reinforce CSCE’s profile as an integral part of the infrastructure community across Canada. The IRC also acts as the national voice of the CSCE with respect to infrastructure policies through interactions with other national groups and the Federal government. Members of the IRC participate in national initiatives providing leadership through several organizations and working groups. The primary groups that are involved with CSCE in these activities include the Canadian Public Works Association (CPWA), the Canadian Network of Asset Managers (CNAM), the Federation of Canadian Municipalities (FCM), the Canadian Construction Association (CCA) and the Association of Consulting Engineering Companies in Canada (ACEC). The IRC is working with the CSCE’s Sustainable Development Committee to promote and develop CSCE’s strategic direction ofLeadership in Sustainable Infrastructure. This involves developing resources to better understand and define sustainable infrastructure to ensure that the CSCE will house the national subject matter experts in this field. Implementing practical asset management systems for infrastructure owners. The role of asset management systems in quantifying the sustainability of infrastructure in terms of financial, social and environmental aspects. Renewing infrastructure using techniques that are more sustainable (i.e. trenchless technologies). Building capacity and knowledge surrounding asset management for infrastructure owners.